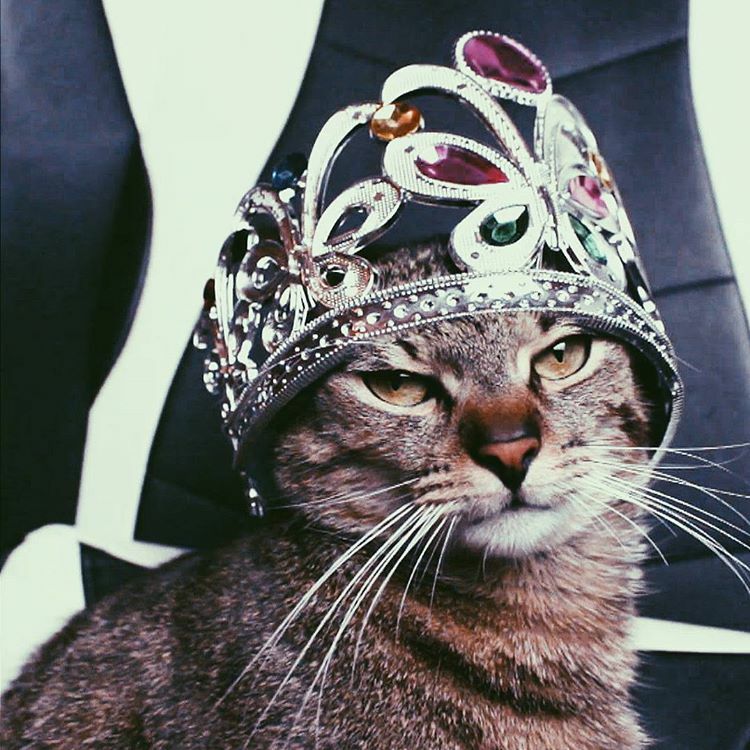 Some of the most famous Instagram pet accounts are known to be making more money than even some human celebrities. 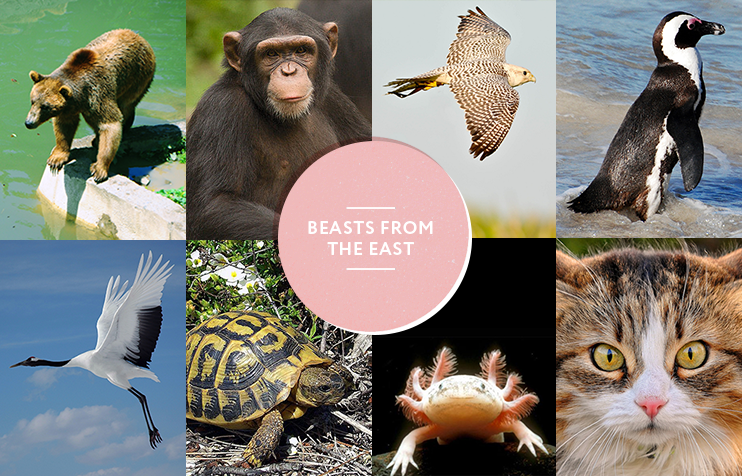 Typically, Japan and USA are the countries to produce the most “awww”-inducing animal bloggers, so check out these lesser known but social-media savvy beasts of the New East. 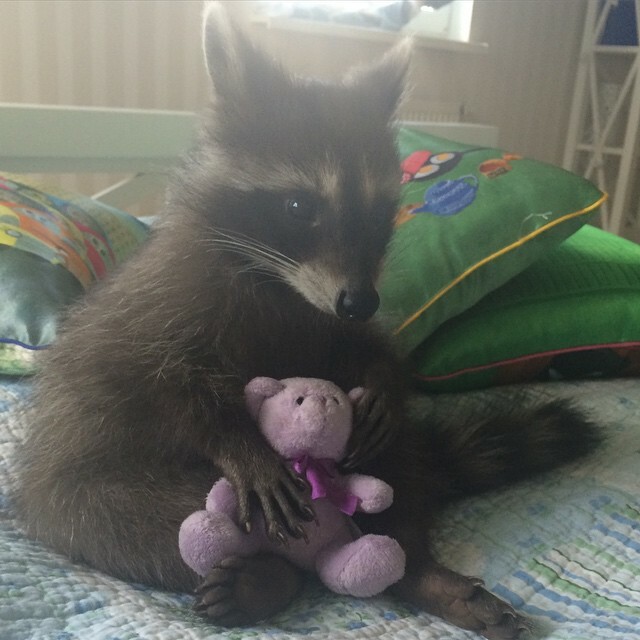 Fedor the Racoon is the ultimate animal celebrity in Russia. 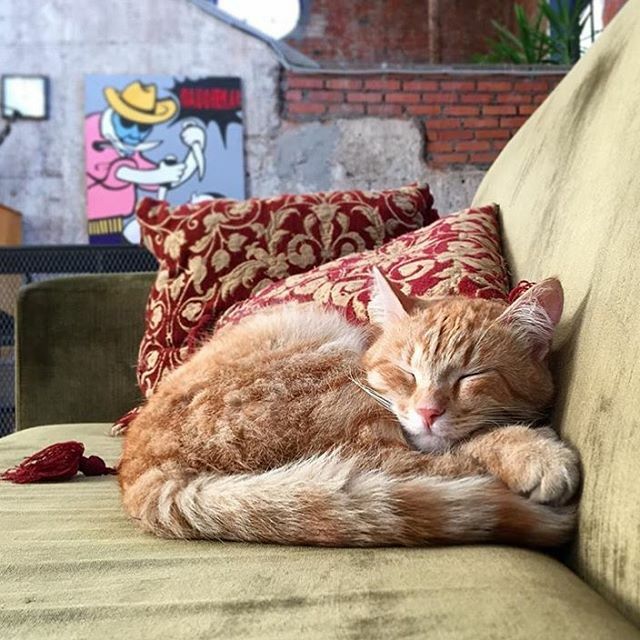 With 64,000 followers, he is often the subject of media attention, but the account barely has any advertising. 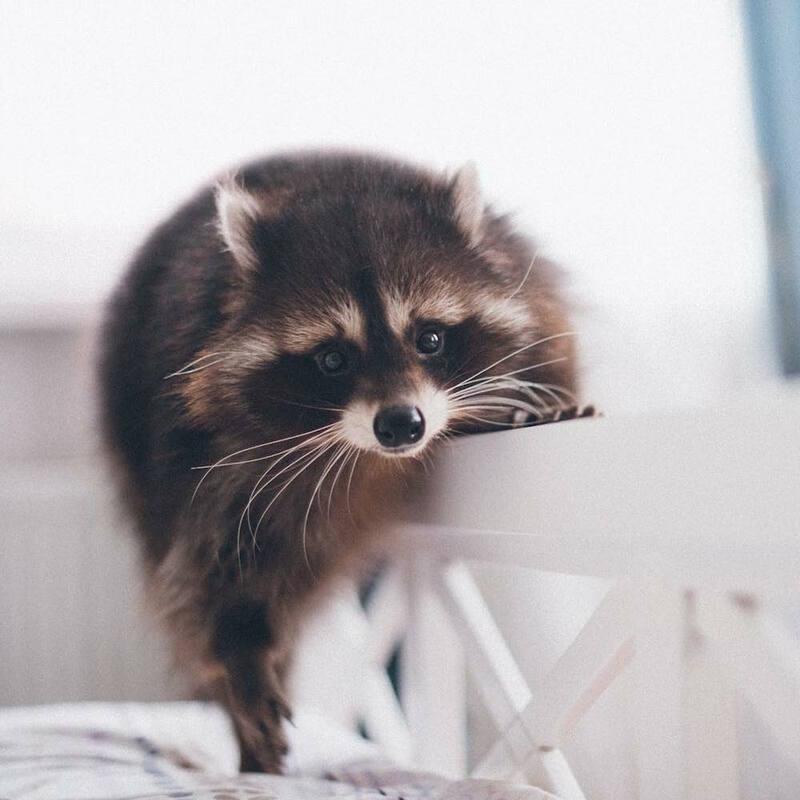 Fedor is perfectly round and fluffy, and the owner is often accused of overfeeding him, though the replies in the comments indicate that vets have confirmed that the racoon is healthy. 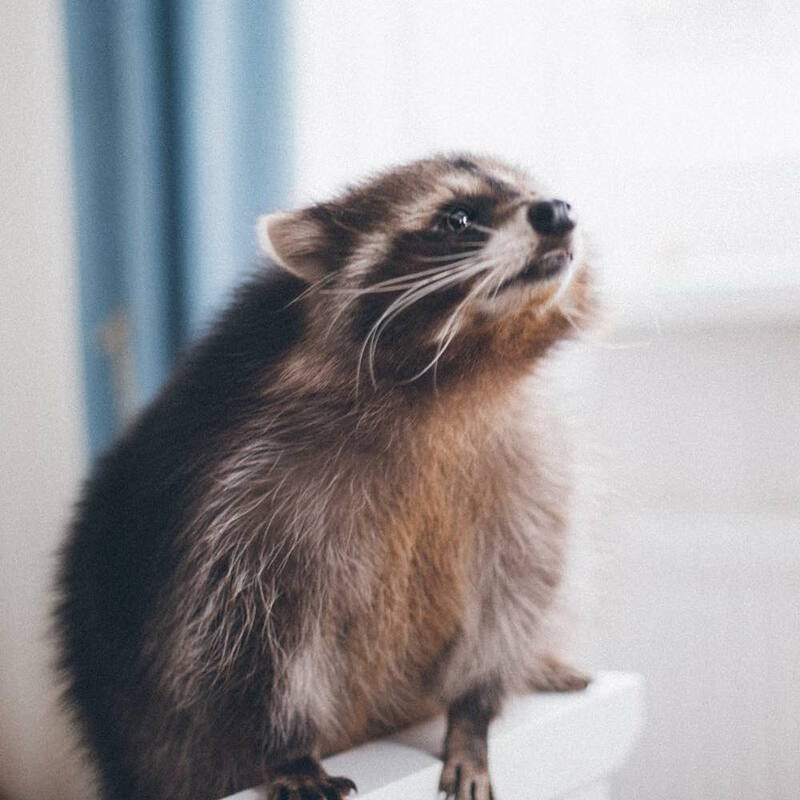 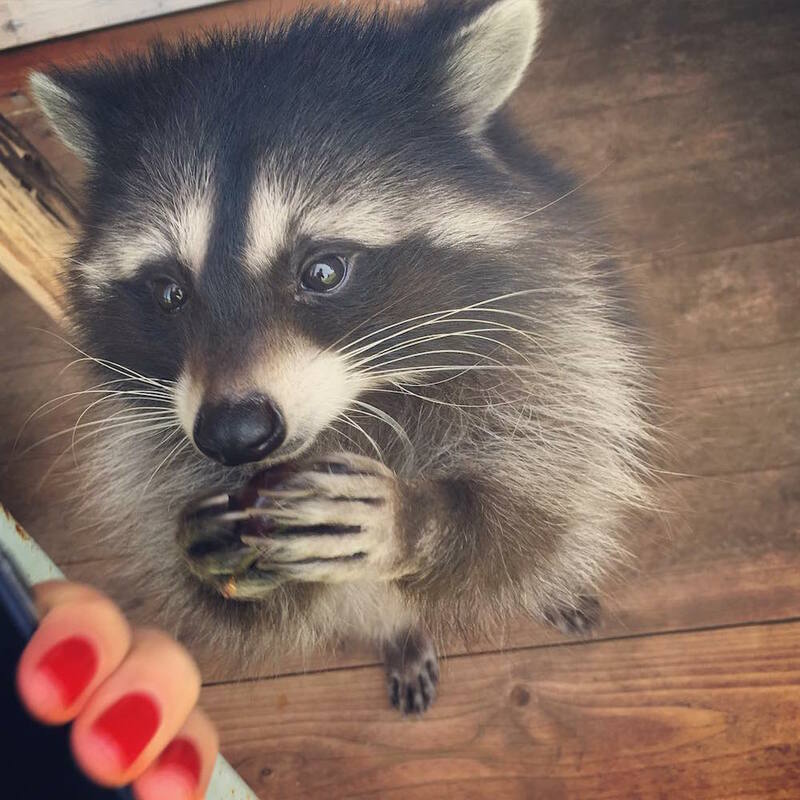 Follow for cheeky racoon antics and a daily dose of the roundest raccoon pics. 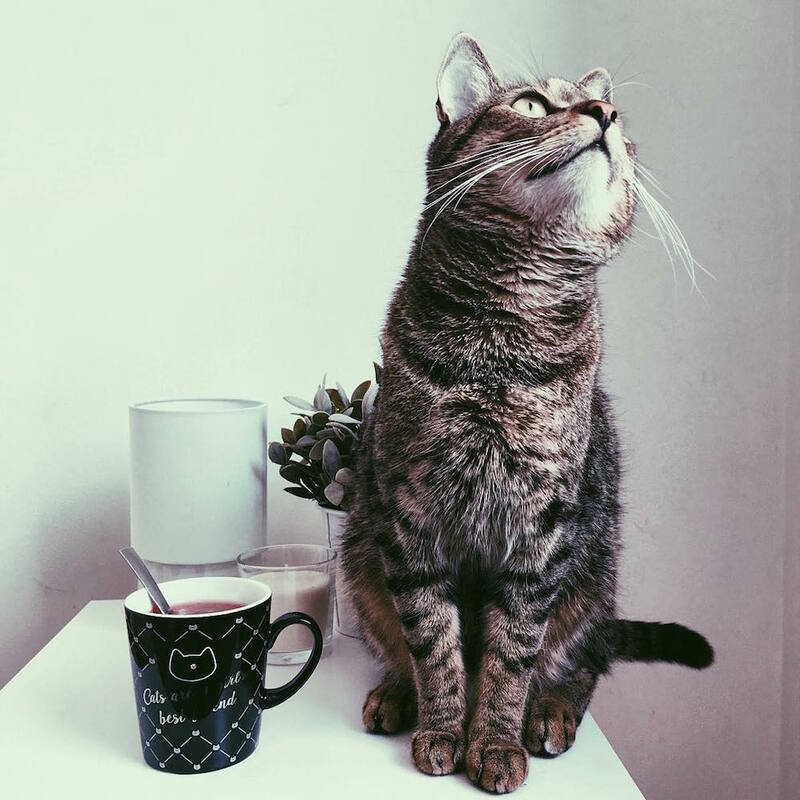 Do you have a soft spot for Instagram lifestyle bloggers who publish pictures of perfect latte art accompanied by the latest issues of Kinfolk and selfies with sponsored goodies? 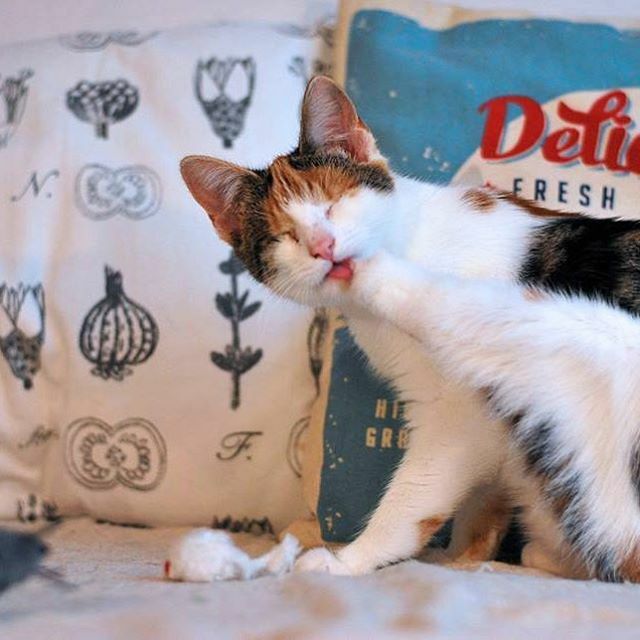 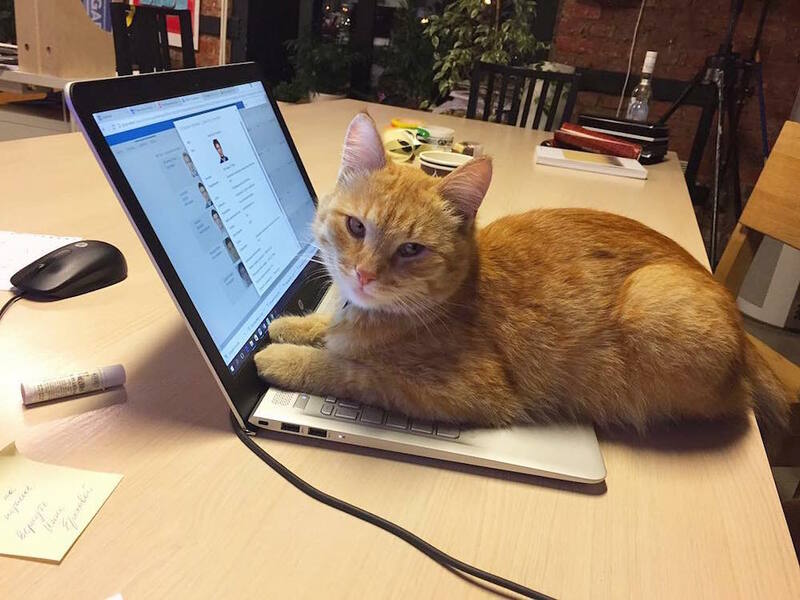 Probably not, but what if the blogger was a cat? 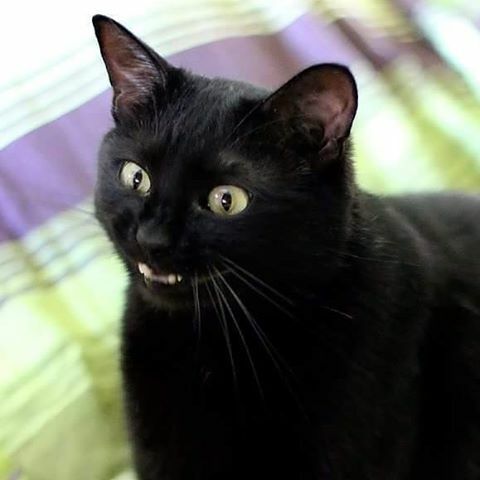 Follow Pan Kermi to learn the ways of an enterprising tabby with a knack for mild faded filters. 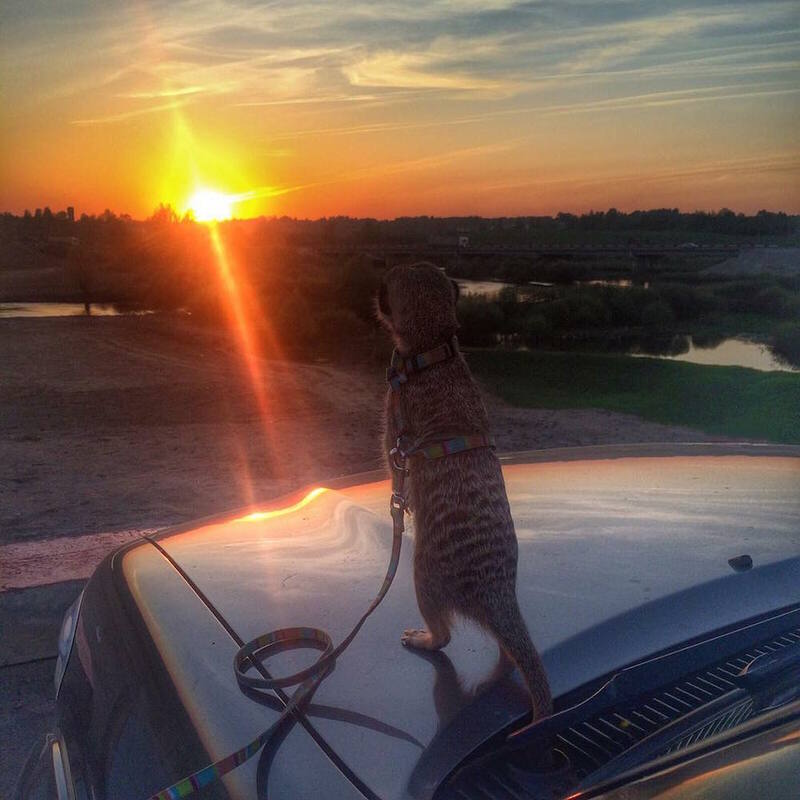 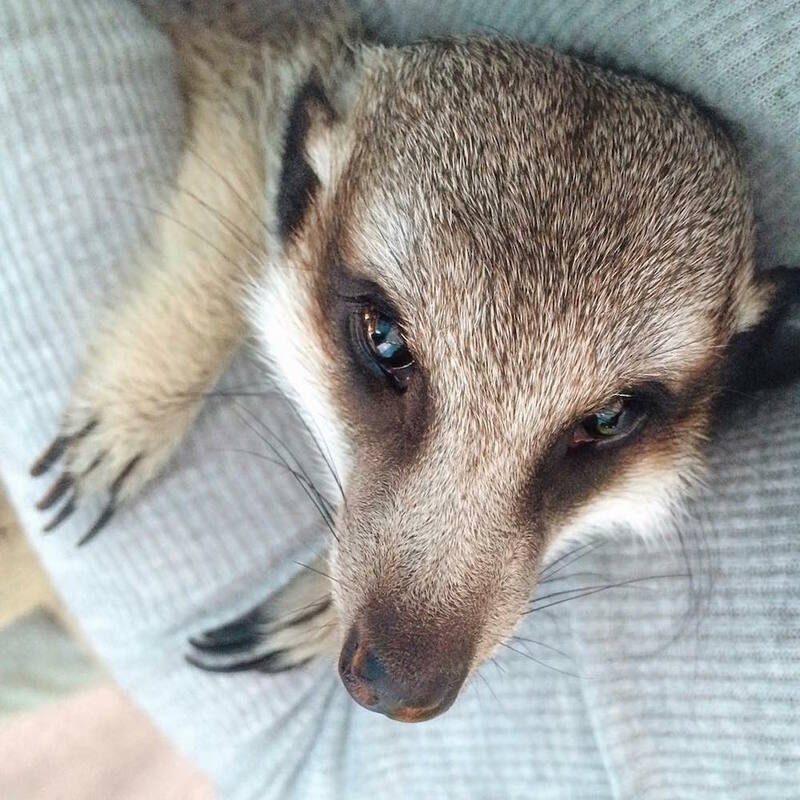 Pet meerkats are a thing in Russia — in fact, there is a small community of meerkat owners in the Moscow region, and among them Gosha is the undisputed online star. 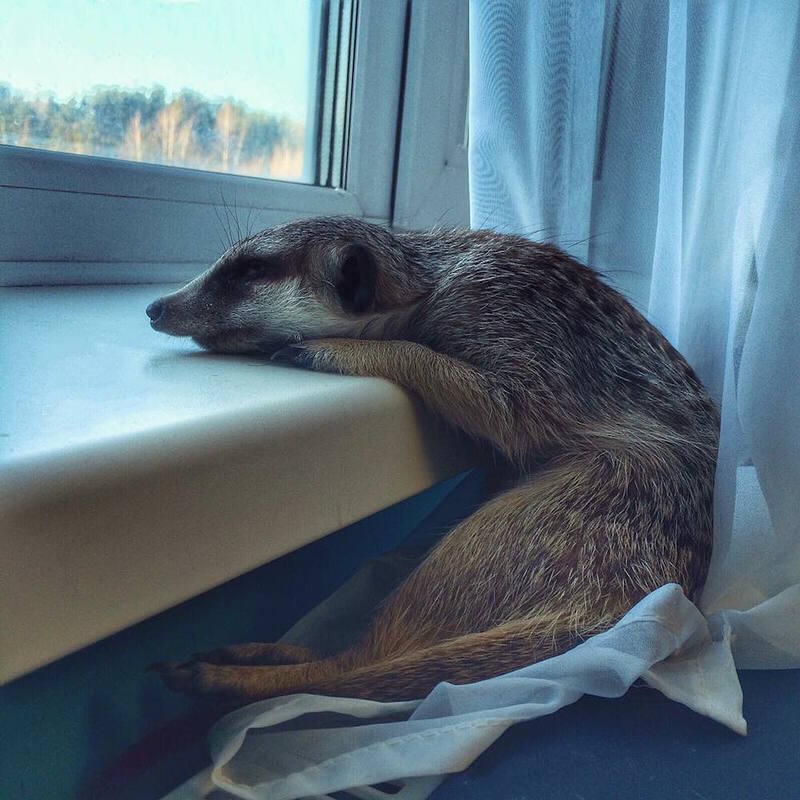 Follow to learn about the life of a meerkat in a Moscow apartment — and also if you couldn't finish Meerkat Manor because of how tragic it was but still need a dose of meerkat adorableness in your life. 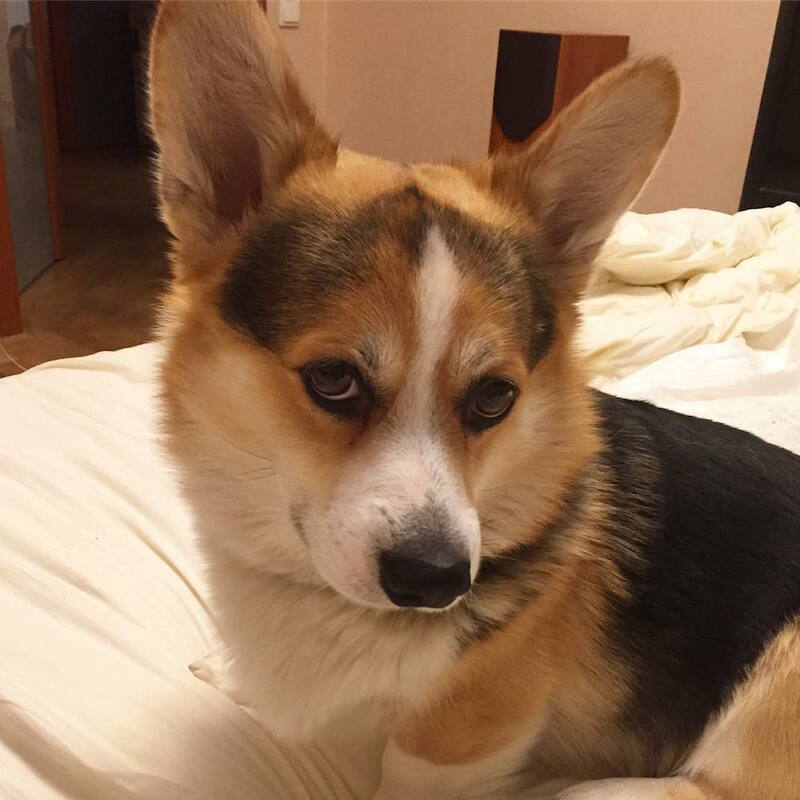 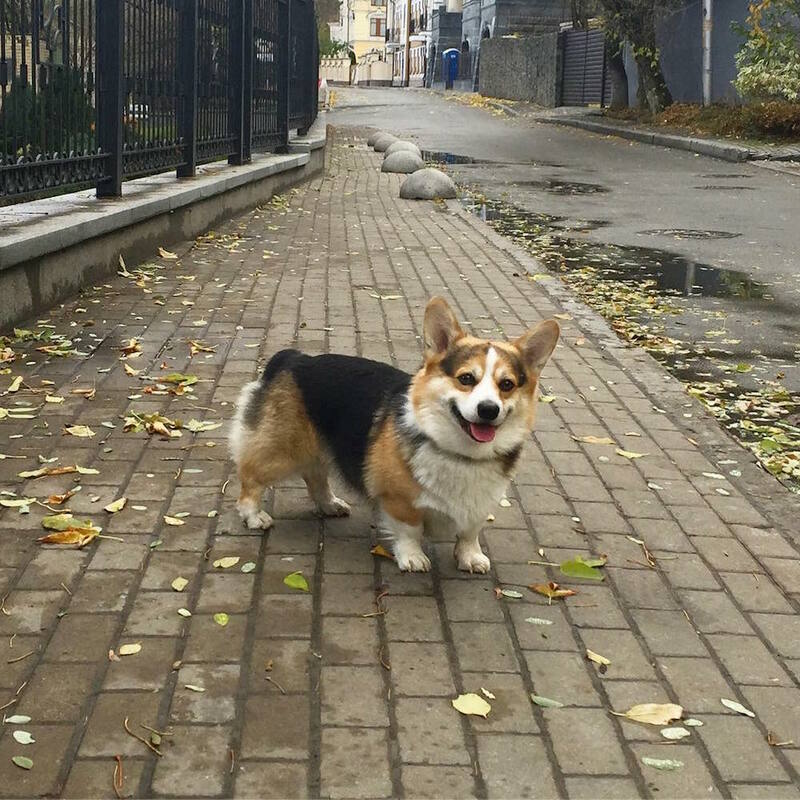 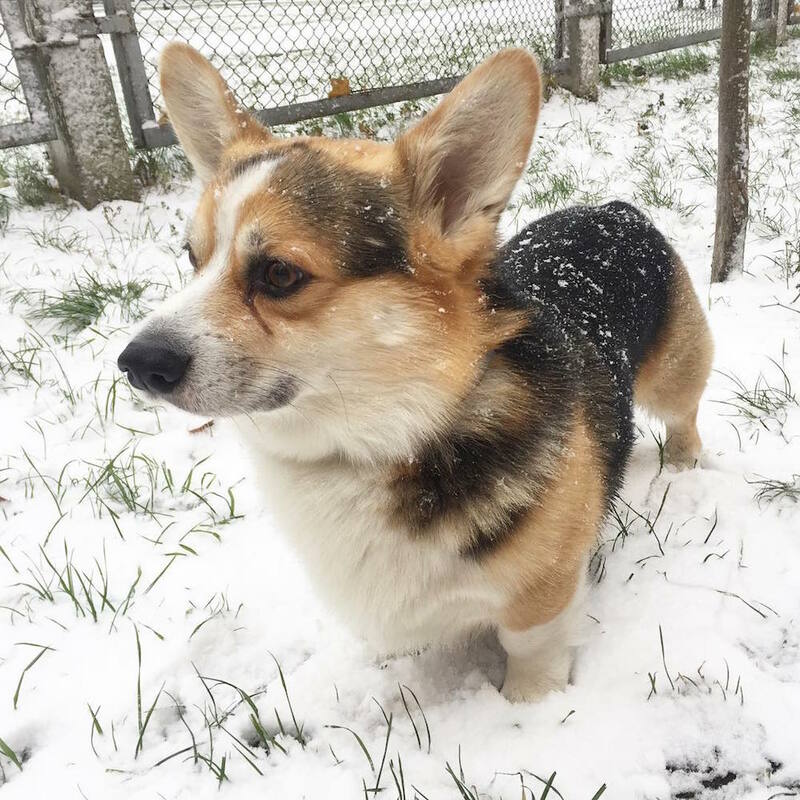 Corgis aren’t exclusively a British monarchy thing: Ostin is a corgi that lives in Kiev. 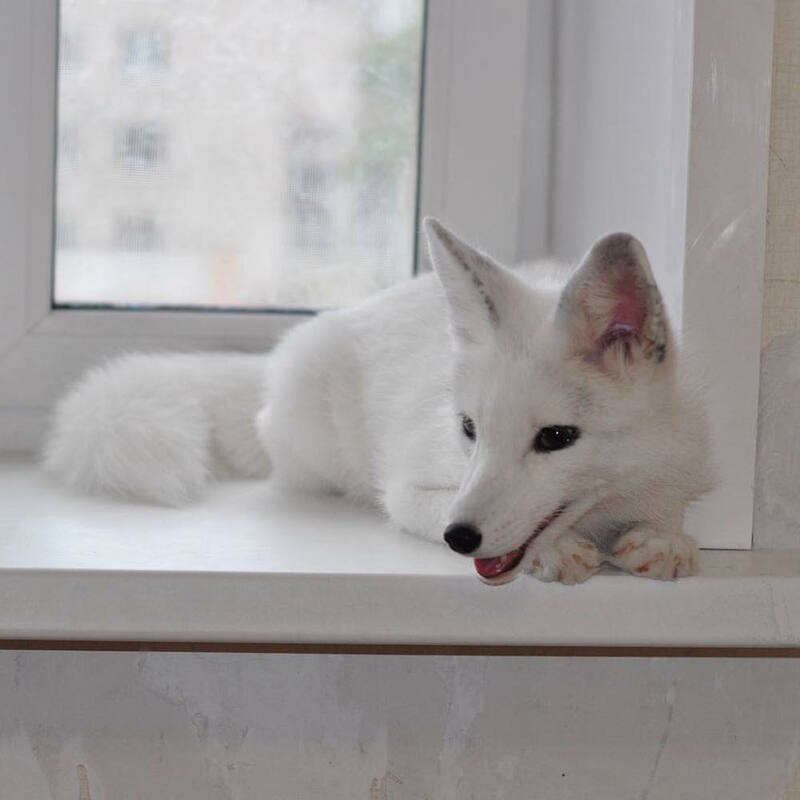 The account is still quite new but its perspectives are endless. 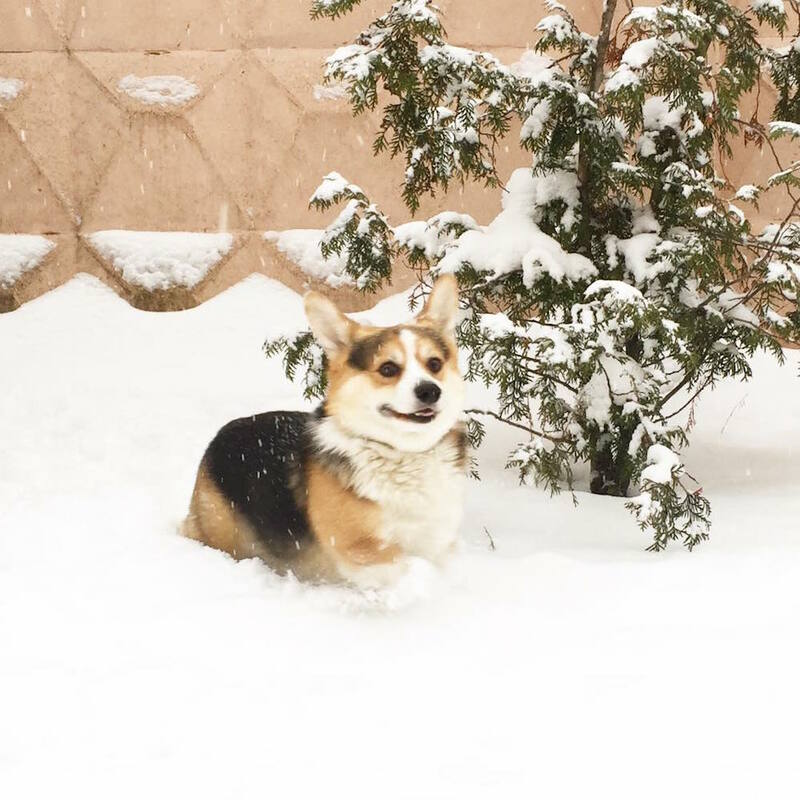 Follow for videos of Ostin chasing pigeons in snow too deep for his short paws. 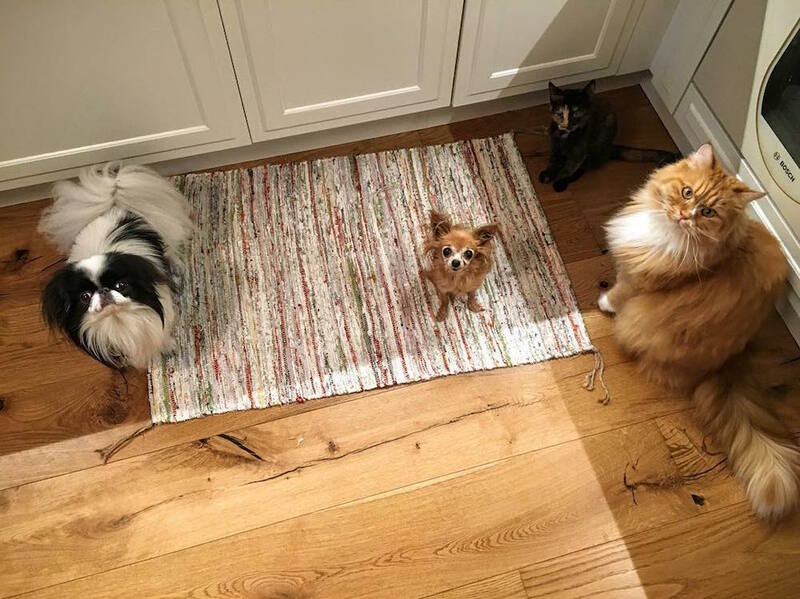 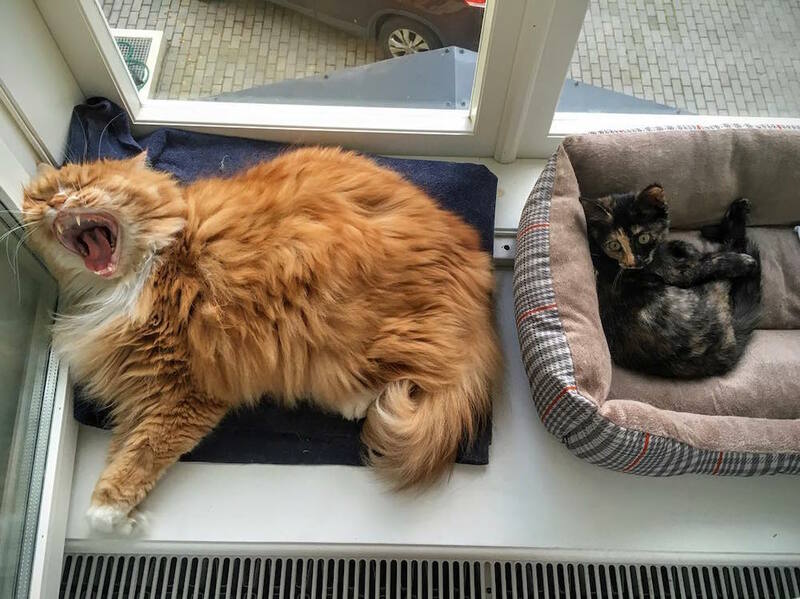 The fluffy half-Persian cat and his tiny recently adopted kitten sister boast over 8,000 followers. 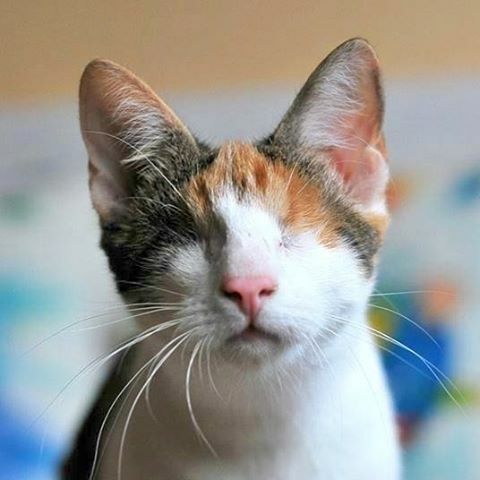 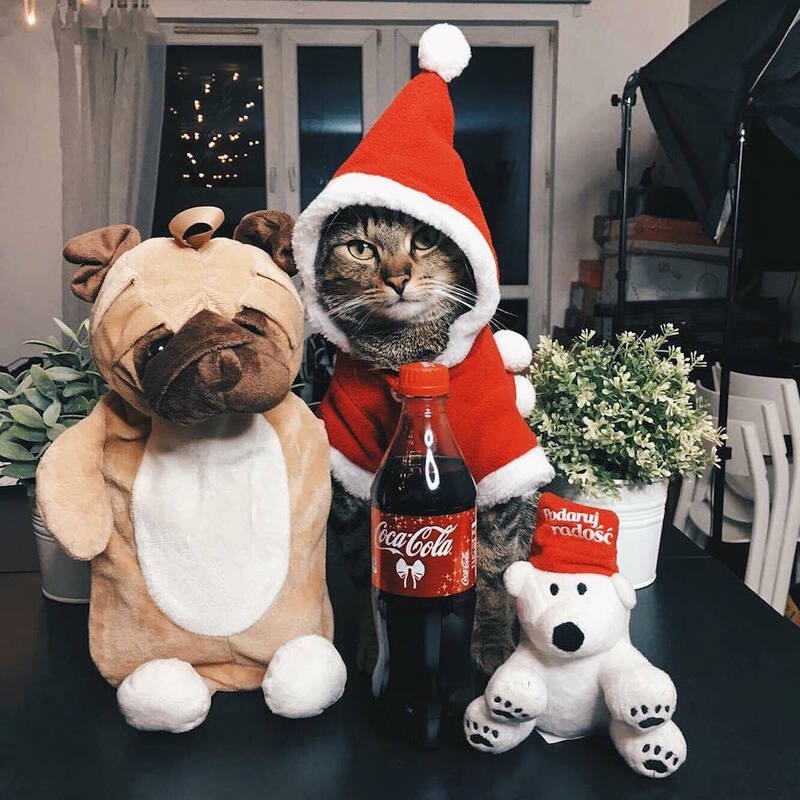 The owners are also promoting the “adopt don’t shop” campaign, advocating the idea of adopting pets from shelters instead of buying from breeders and pet shops. 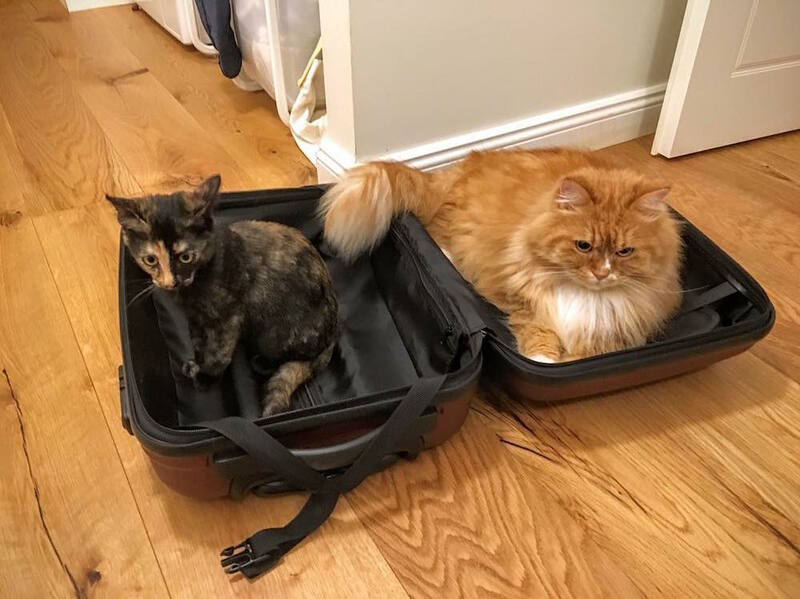 Follow for Muhv’s extreme fluffiness and Pixie’s kitten shenanigans. 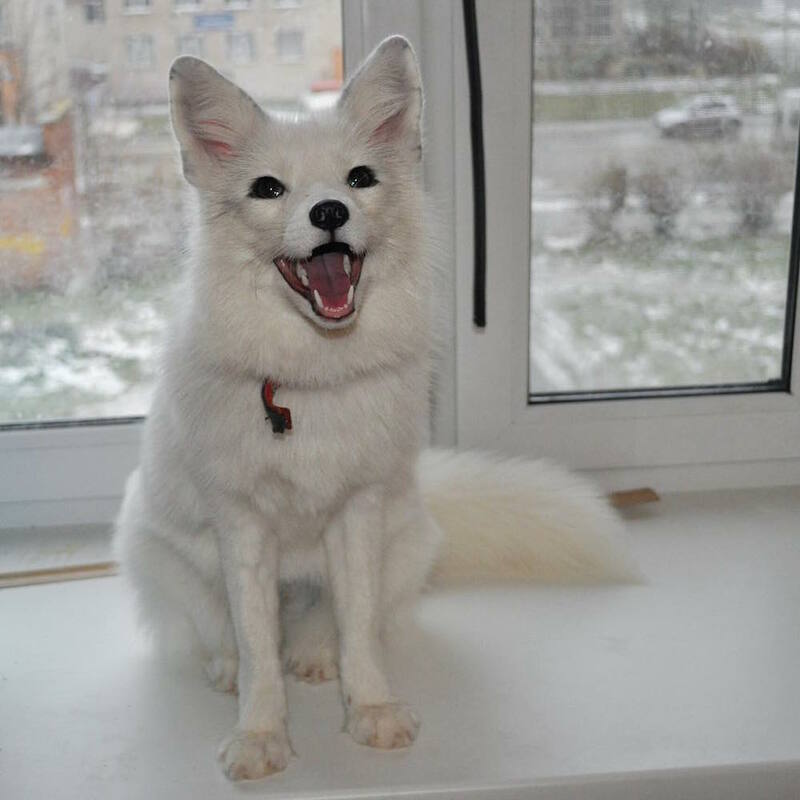 Plusha is a young arctic fox that lives in Russia. 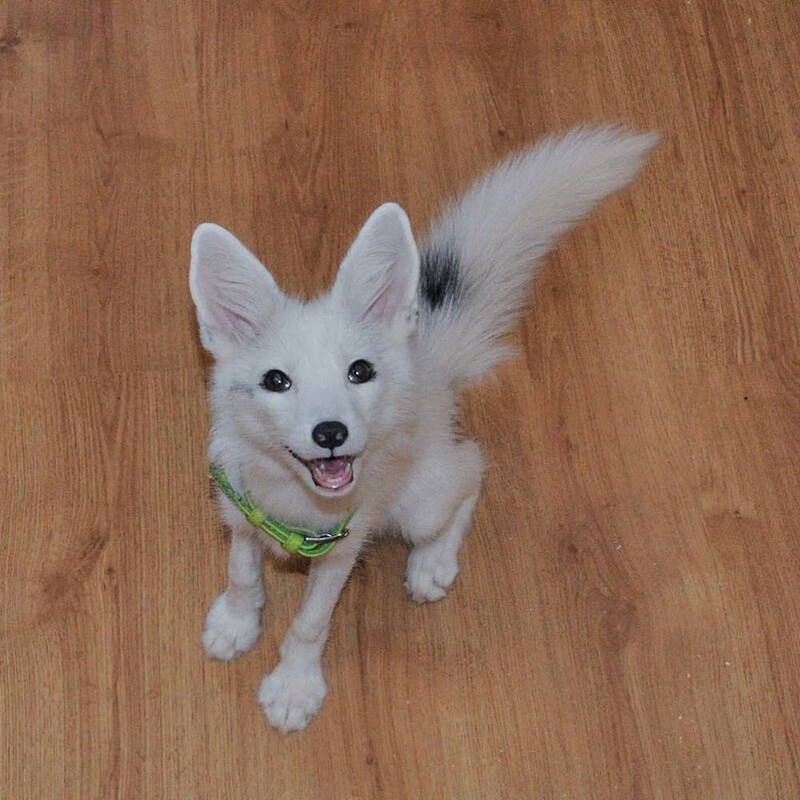 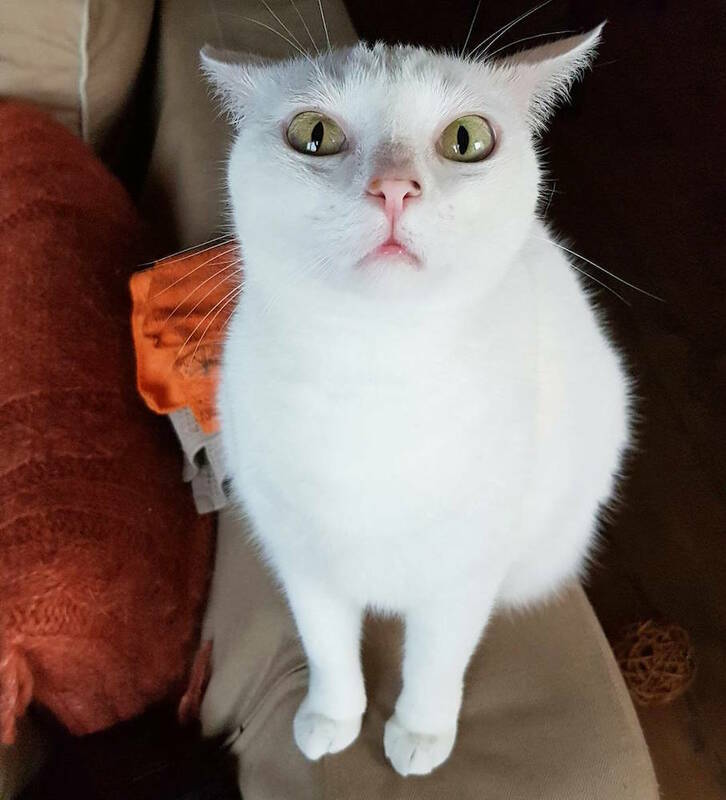 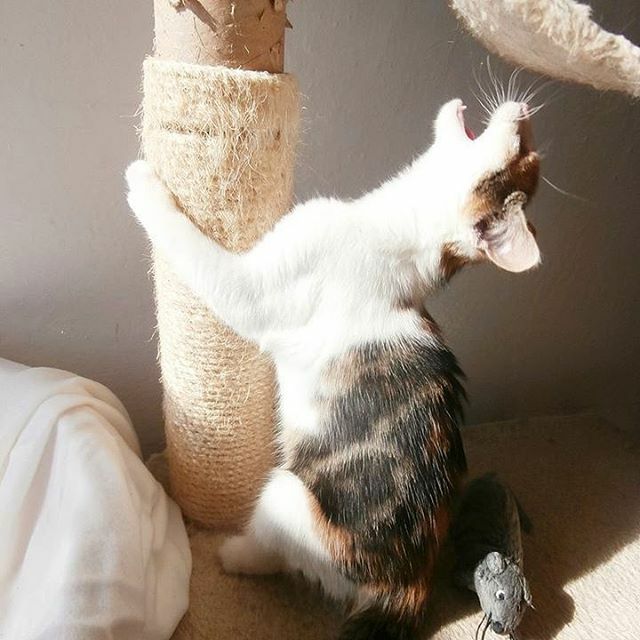 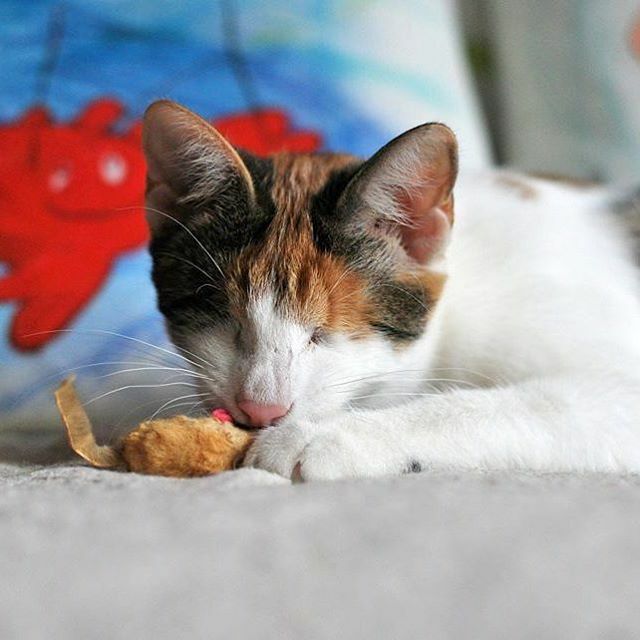 Her name translates as “little bun” but the owner says that her personality is a bit more feisty than her name — there are, for example, intense videos of her destroying pillows. 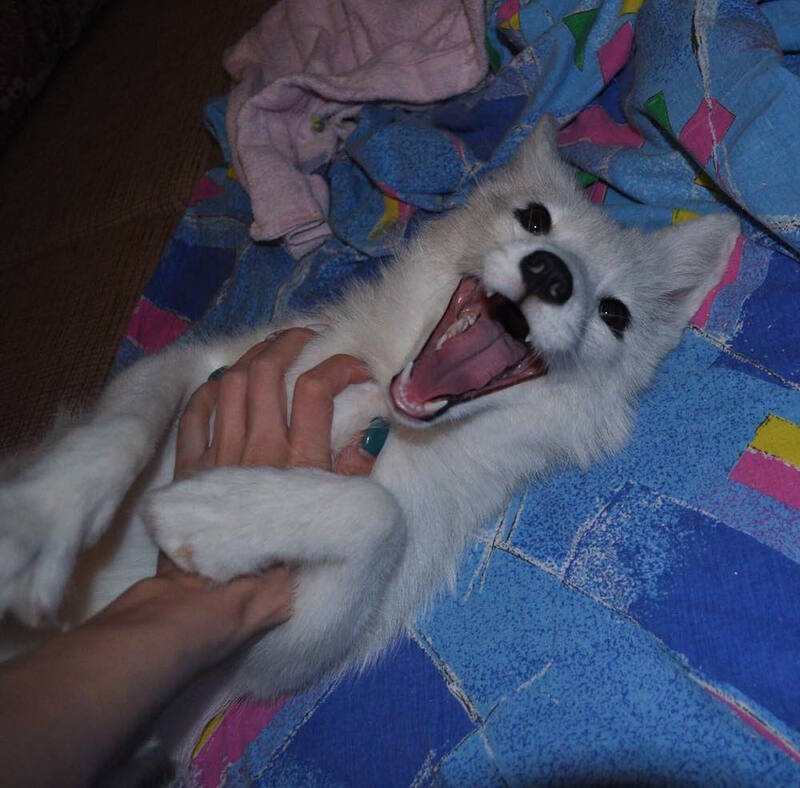 Follow for the cute yet dangerous vibe, and if you're a fan of the famous Juniper the fox. 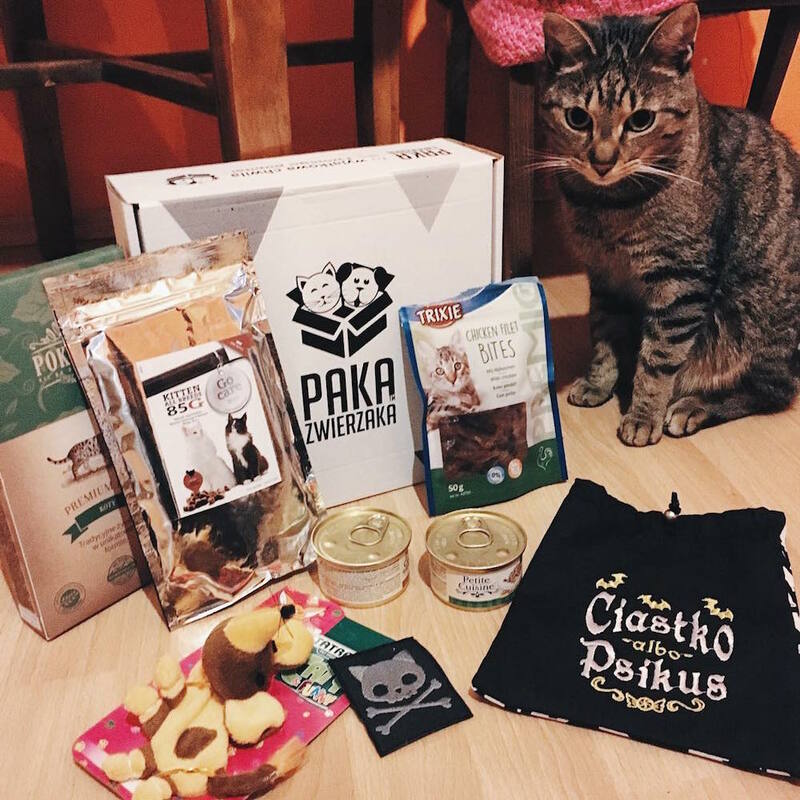 Another pair of cats, this time from Poznań, Poland. 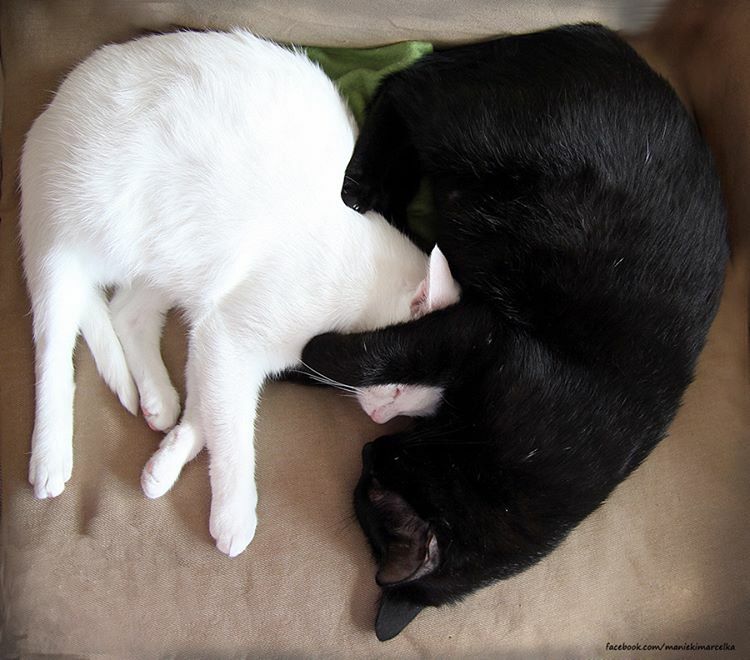 Maniek is black and Marcelka is white, which makes for a great photogenic combo — they resemble a ying yang sign when they lie down together. 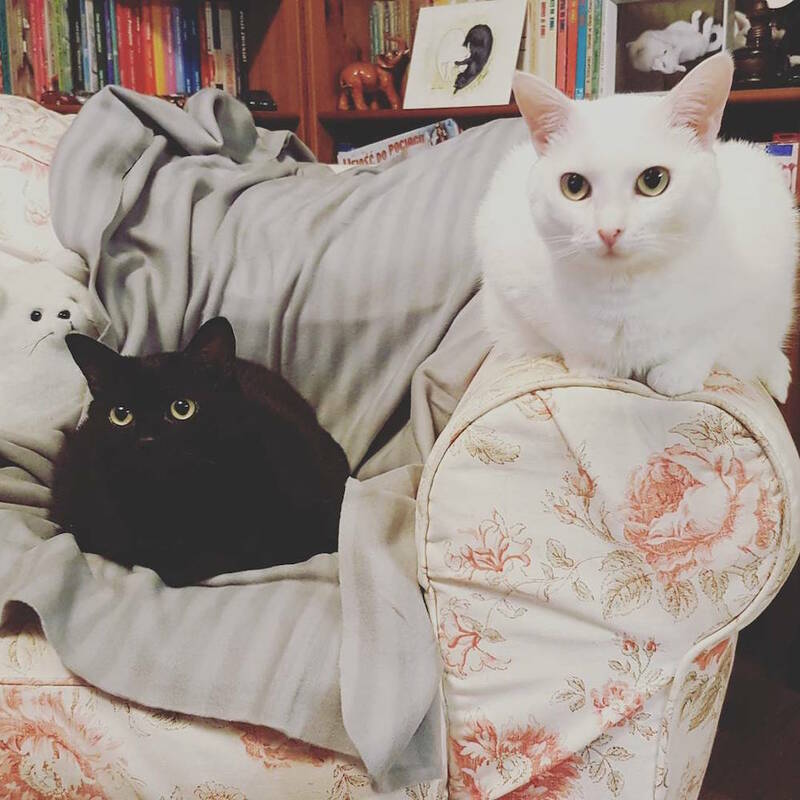 Follow for stylish monochromatic charm, and also if you liked Salem the cat in Sabrina the Teenage Witch — Maniek is his doppelganger. 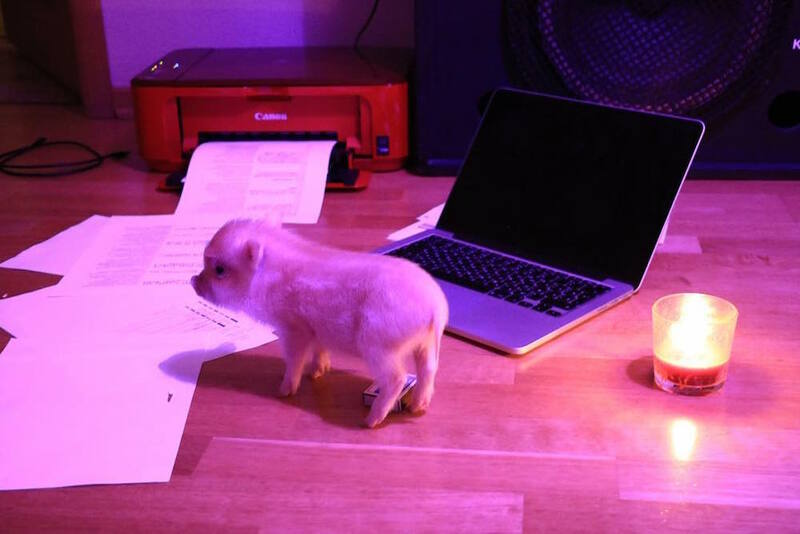 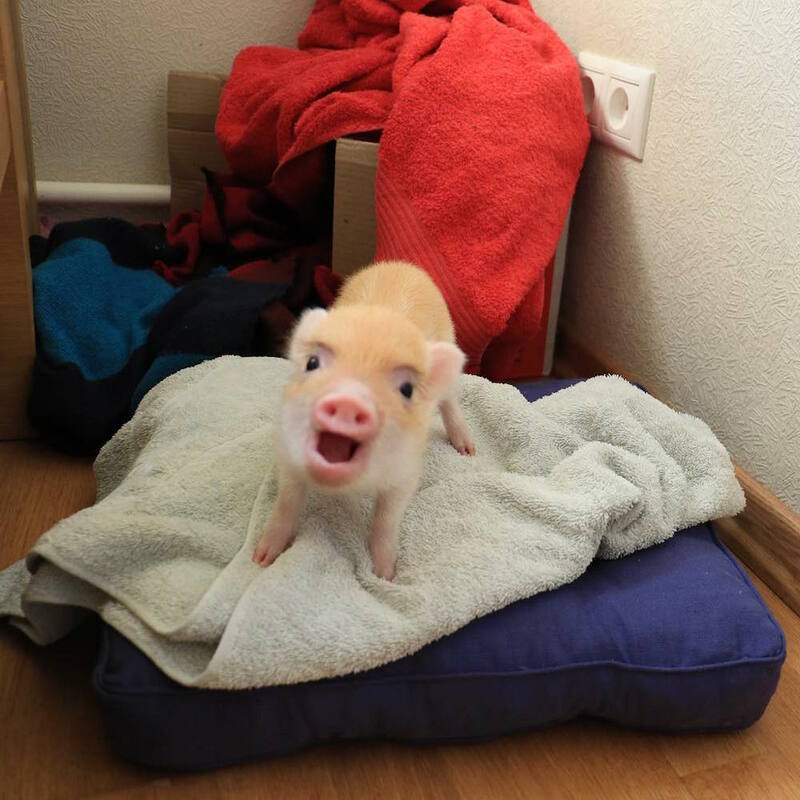 Vigrinia is a two-month-old micropig from Moscow. 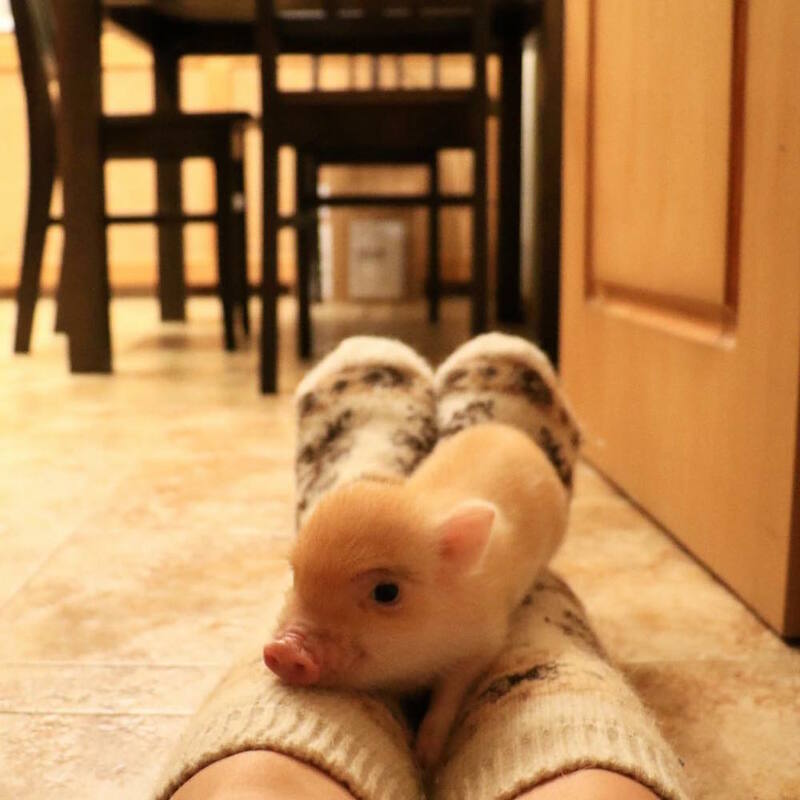 Born in just October 2016, she has already accumulated over 3,000 followers at her tender age, and she's only going to get more adorable with time. 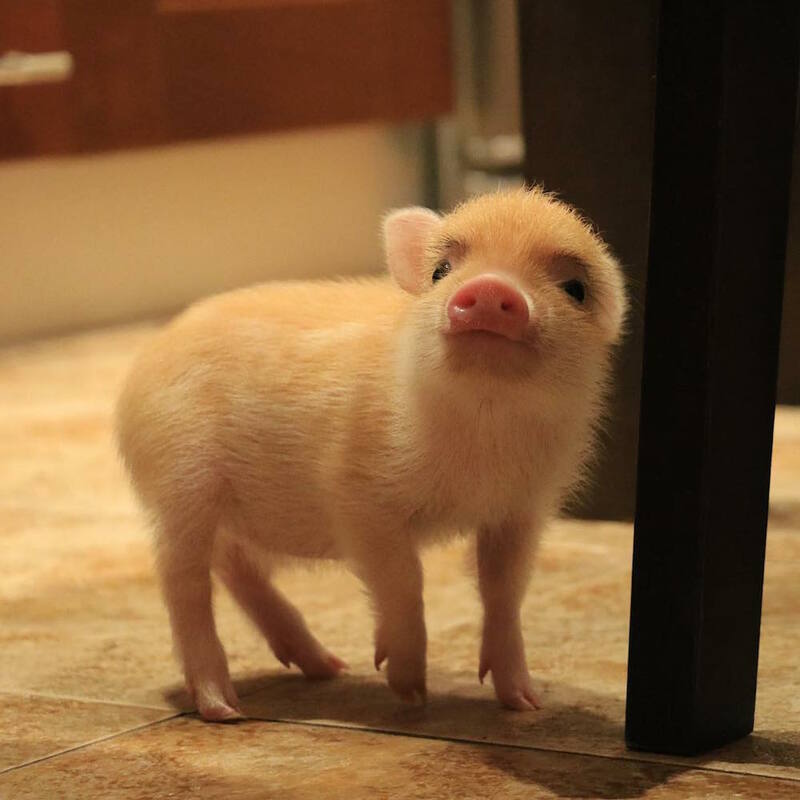 Follow for cat-sized piglet cuteness. 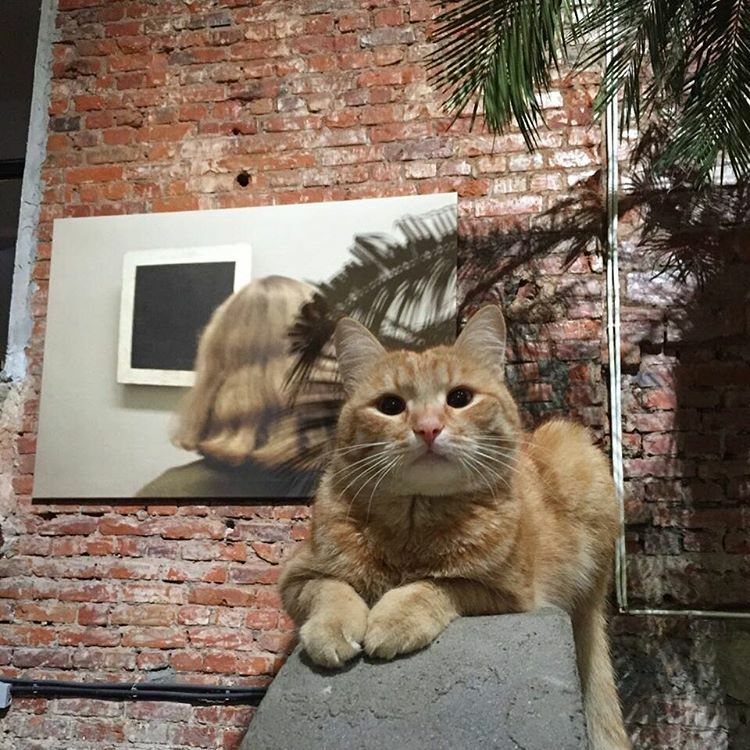 Garage lives at the Garage Museum of Contemporary Art, and blogs about his life. 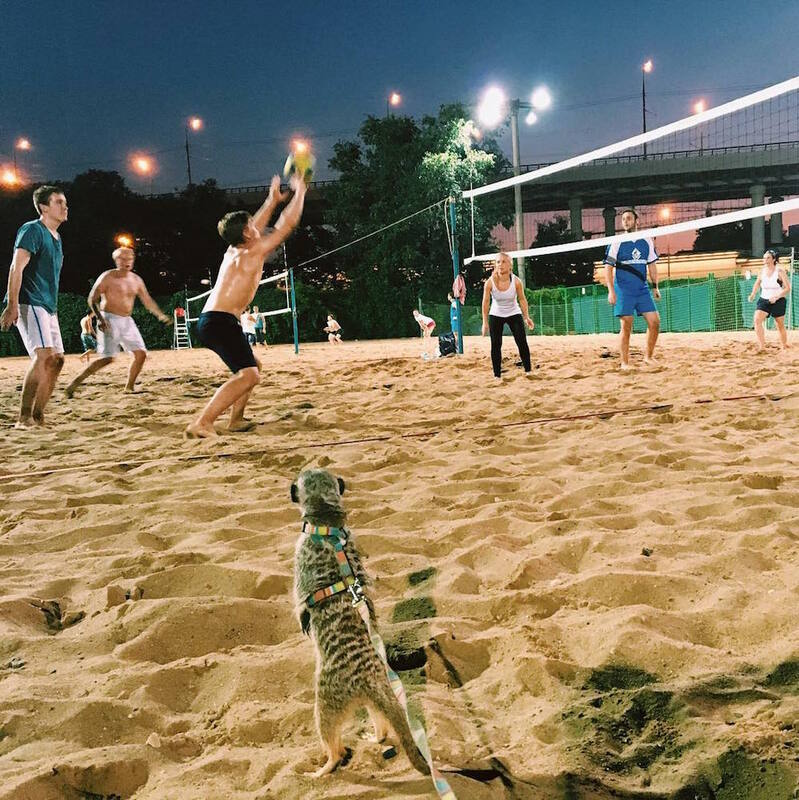 Pictures often feature art, behind the scenes museum work and adventures of the cat in the surrounding Gorky Park. 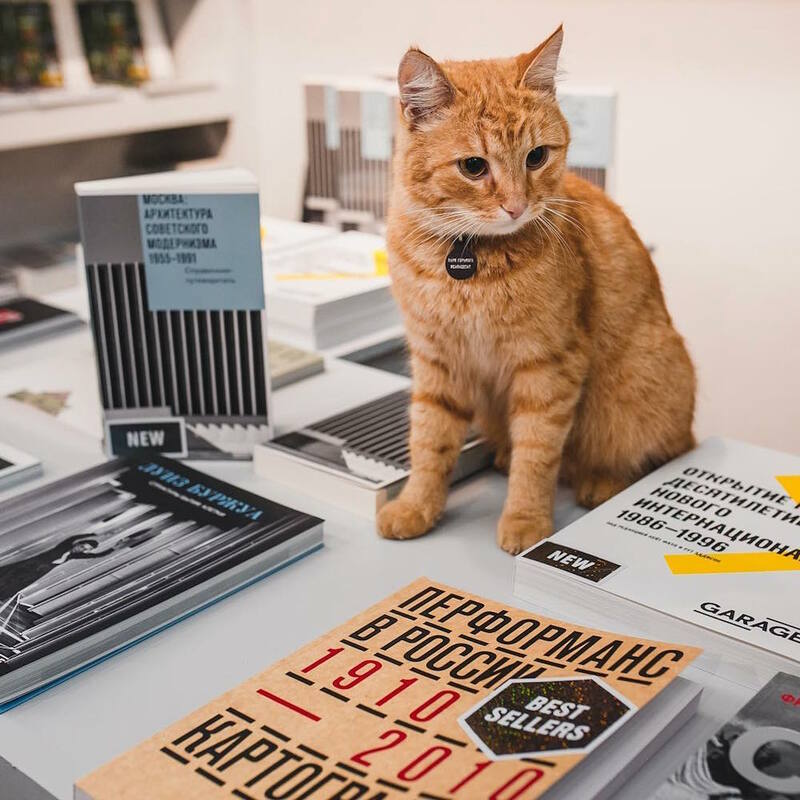 Follow to learn all the important names in the Moscow art scene (they are often pictured holding the cat) and to know the latest on the exhibitions at the museum. 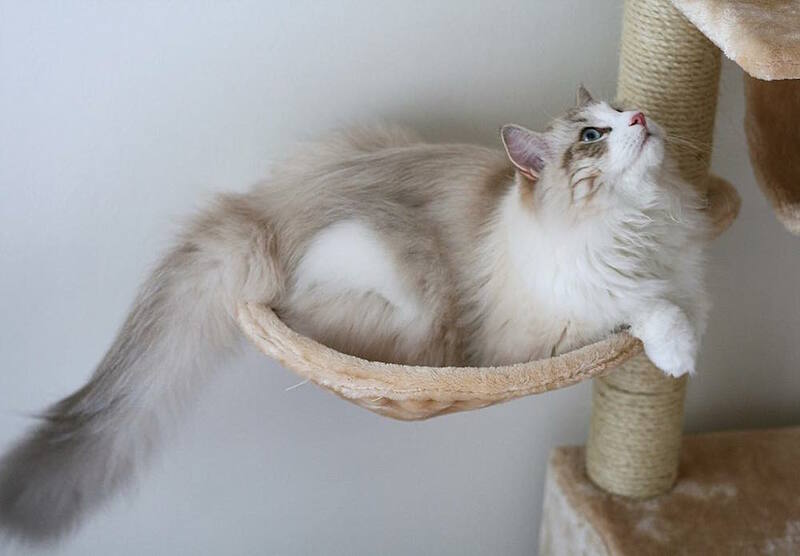 Loki and Lumi are what cartoon royalty cats would look like — perfectly fluffy and majestic. 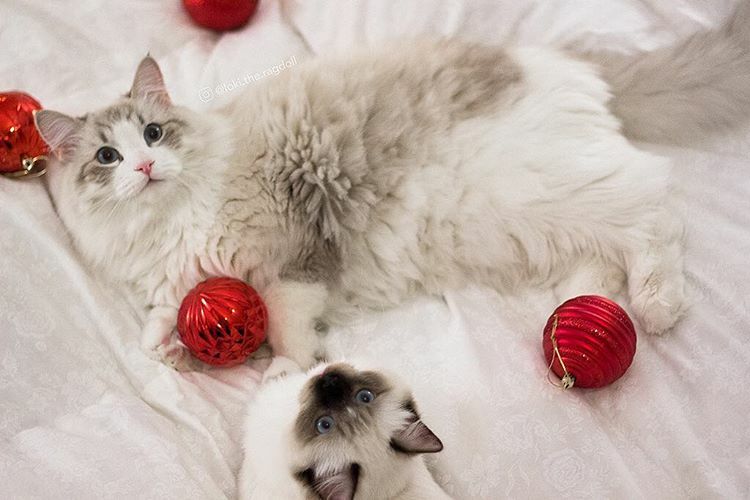 The styling of the photos do the regal-looking cats full justice, with soft fairy lights and cushions in the background. 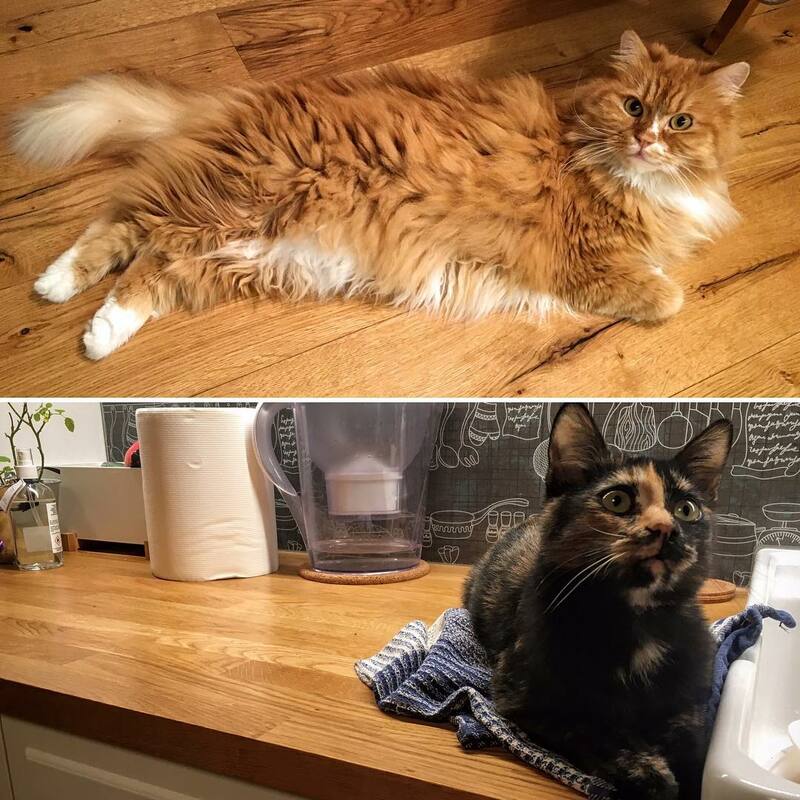 These are the feline version of Instagram models, both in terms of their looks and their follower numbers. 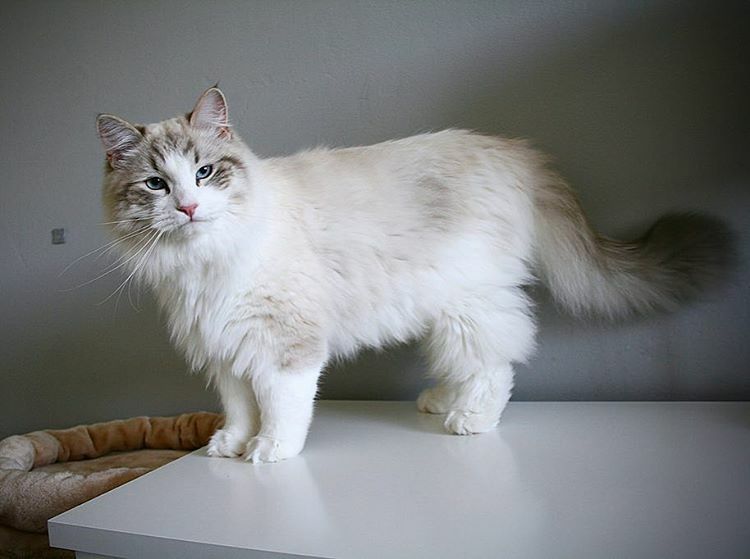 Follow to feel inferior compared to these cats' beauty every day. 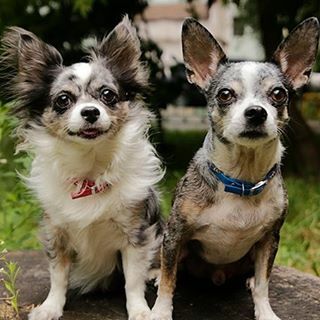 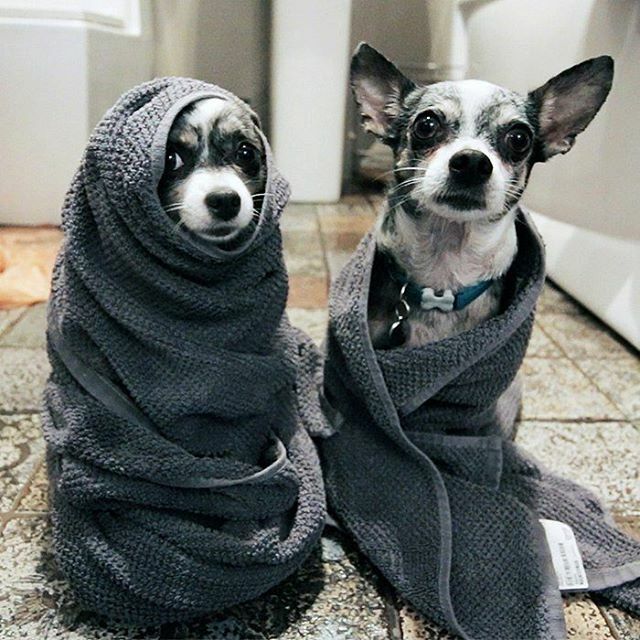 Sophie and Eivan the chihuahuas are owned by YouTuber who calls herself Dogmama Anya. 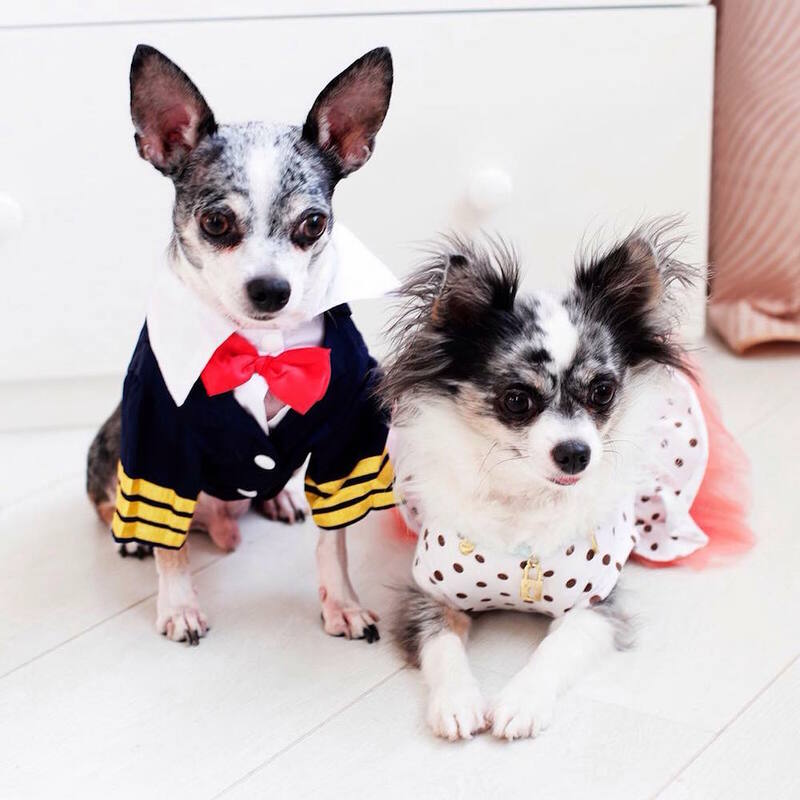 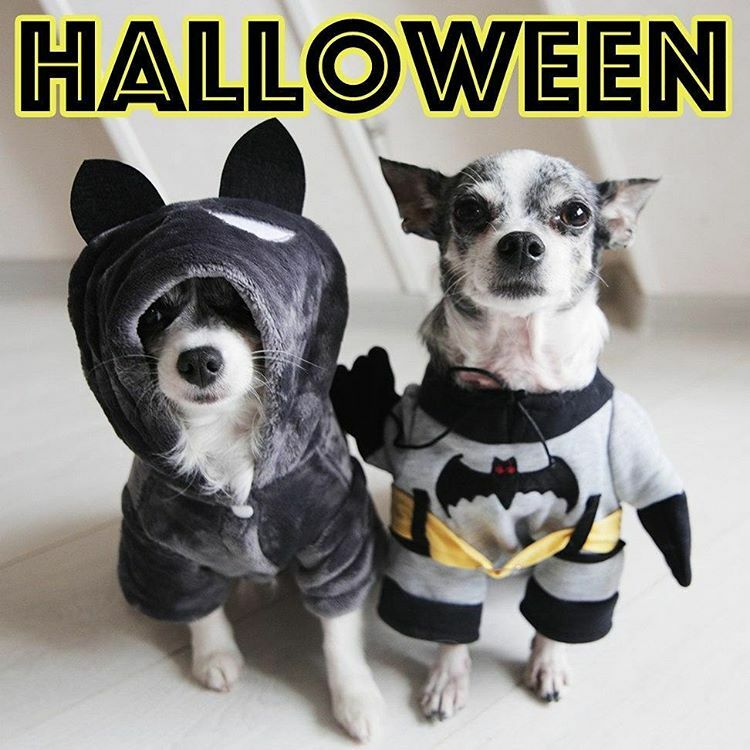 Her YouTube channel mostly focuses on life hacks and tips for dog-owners, and Instragam mostly consists of Sophie and Eivan looking cute while wearing various costumes. 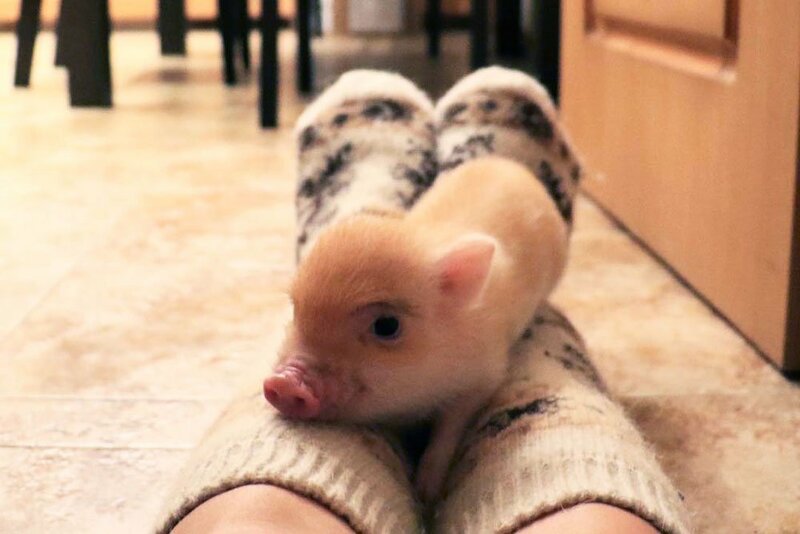 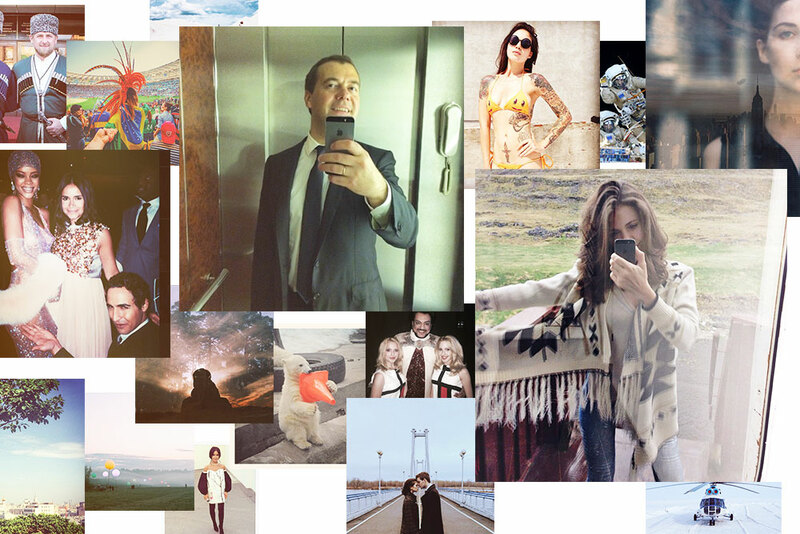 Follow if you're not averse to animals in clothes, and you will be rewarded.